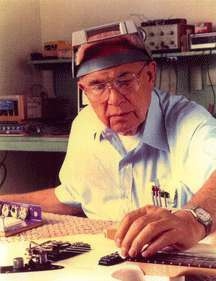 Leo Fender† passed away on a rainy day in March 1991, an event that shook the music world: the father of modern music was gone. It was on that very day that Leo had completed his last prototype, testament to his passion for improving his instruments. The Dual-Fulcrum Vibrato that’s super-smooth and more stable. The Saddle-Lock Bridge that transfers more resonance to the guitar body. MFD pickups which are uniquely clear, warm, expressive and wide-range. The PTB tone system that offers treble and bass cut for more versatility. Today the G&L factory continues production as Leo would have wanted. 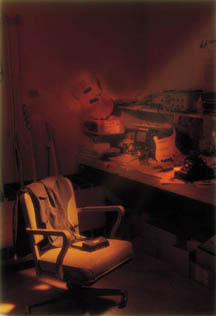 His private workshop, the center of his creativity, remains at the heart of the factory and has been visited by music people from around the world. While the people of G&L continue to build the instruments with love, dedication and great skill.